A washing machine is one of the most important appliances in the home, and there is such a wide range available it is really worthwhile to consider what features you need before you buy. Our 5 point checklist will help. Washing machine spin speed can range from 1000 to 1800 revolutions per minute (rpm). 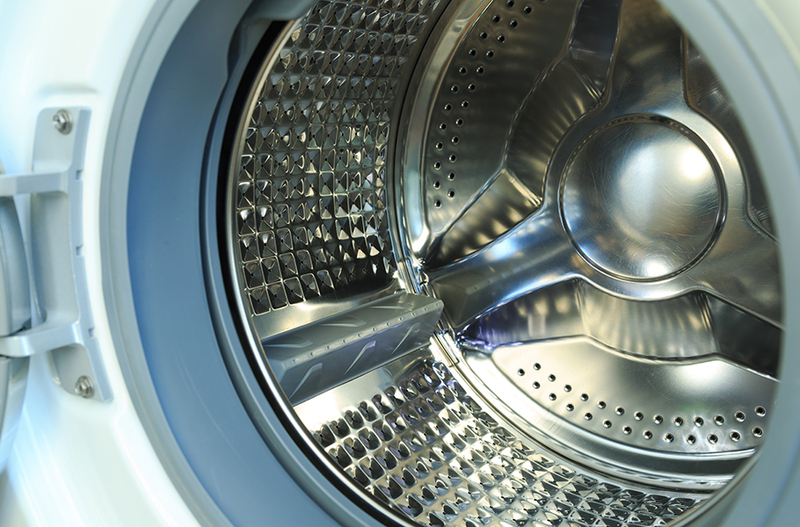 The faster the spin, the more moisture that is extracted from the washed clothes, therefore requiring less time to dry. Lower spin speeds are required for more delicate clothing and can also help reduce creasing. In general most machines will auto select the spin speed depending on the programme used, some machine will also have a variable spin speed function you can select yourself. depending on the machines electricity consumption and water usage. 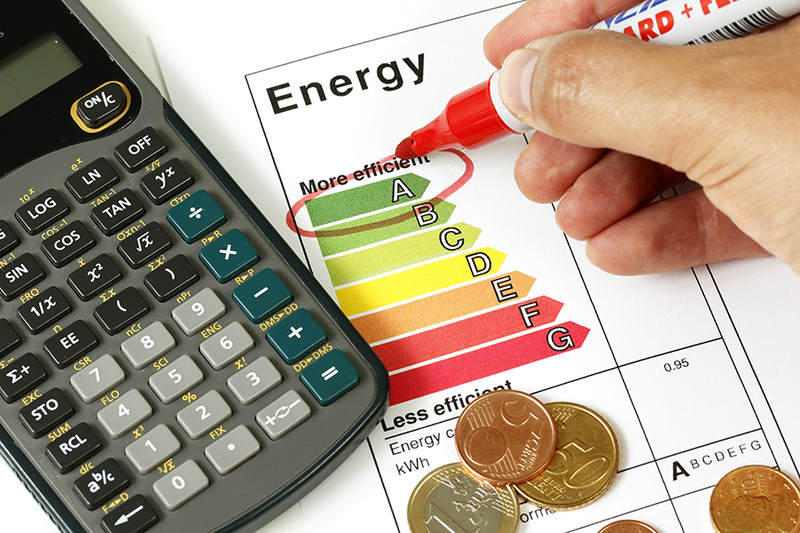 The lower the water and energy consumption, the more you will save on your bills. 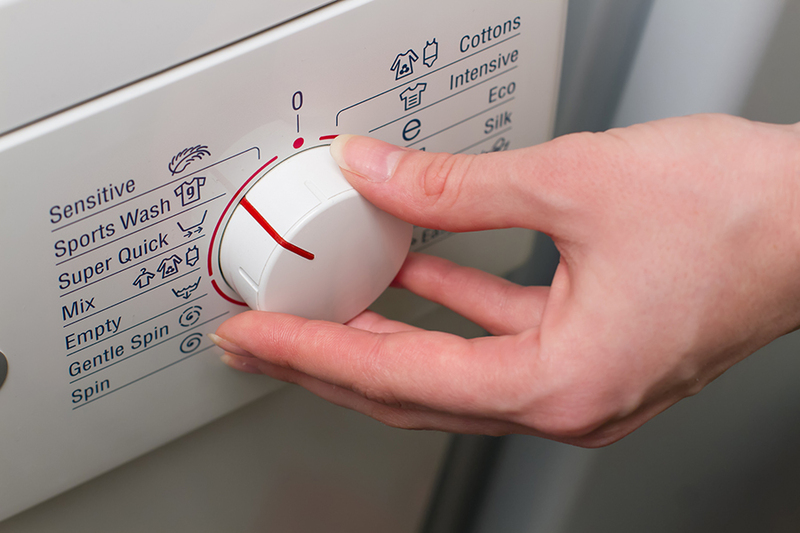 Aim to buy a washing machine with A to A+++ rating as this will help you save water and money! Economy wash: this programme uses less water, electricity and detergent for minimal running costs. Hand wash: this programme is used for delicate garments that need washing at a lower temperature and gentler action. Wool wash: this is a gentle programme for washing woollens. Sports wash cycle: this programme is ideal for getting sportswear clean and fresh. Washing machines are becoming more advanced with each model that is released and will have incorporated features to make washing laundry easier and more efficient. Here are some useful features that will help make laundry day easier. Time delay: this allows you to delay the start of the wash time. This is handy if you want the washing to be ready when you get up in the morning, taking advantage of ‘off peak’ hours or ready for when you get home from work. Pre-wash: this is ideal for more soiled items that may need to pre-treated before washing. Time remaining display: this will show you how long is left till the end of the wash. Variable temperature control: this will allow you to set the temperature an item is washed. Automatic lock function: this prevents the door from opening during a wash, ideal if you have kids! 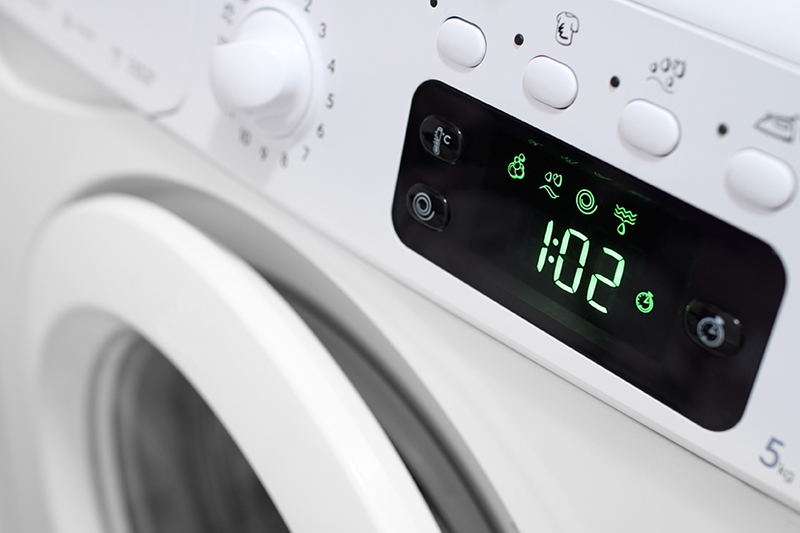 Fussy logic: this technology monitors a wash and automatically makes adjustments for a high-performance cleaning. Now you know what to look for in a washing machine, head down to your nearest Topline store to see a wide range of washing machines.